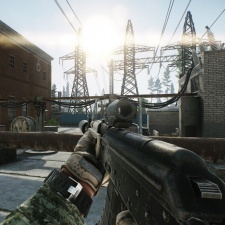 Russian game development studio Battlestate Games has been accused of misusing copyright takedown notices against YouTubers covering their game, Escape From Tarkov. The complaint comes from a YouTuber named El_Dee, who claims that the developer issues 47 copyright strike notices on his videos. However, Battlestate Games says that its because the videos used their company watermark and logo. El_Dee believes that he and other YouTubers are being targeted by the developer because of negative reactions to the title. This is similar to a previous story about Battlestate Games doing the same thing to another YouTuber named Eroktic, where the same reasons and issues were brought up. Battlestate Games defended its decision and claimed that they didn’t do so to anybody else before, despite gaming website Polygon reporting the follow-up copyright claims. “Following the recent events, we have established an internal procedure to make sure that the company, its employees and agents are very careful with everything that constitutes a legal process.” Battlestate Games said in a statement to Polygon. The developer stated that the claims were done months prior to this coming up, which it says was done by one of its subcontractors, AbsolutSoft. Polygon, however, learned AbsolutSoft has closer ties to Battlestate Games than originally suggested. Along with this, El_Dee also claims to have received requests from them to remove negative videos prior to AbsolutSoft's DMCA actions. Both Eroktic and El_Dee have complained the copyright claims have significantly impacted their income from their YouTube channels, and may continue to do so.